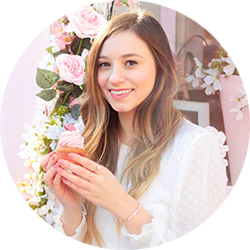 If you had a chance to read my recent Daniel Wellington watch post then you'll know a little bit about the struggles I've had with finding my style over the past few years. In the process of finding my new look I've been experimenting with lots of different colours and styles, and also with accessorising outfits in different ways. I thought I'd share three of my recent summer accessory discoveries with you. You might remember this gorgeous blush pink purse from my pink wishlist post. After gazing lovingly at my ASOS shopping basket for a few days I finally hit the "take my money" button, and I feel no guilt whatsoever! 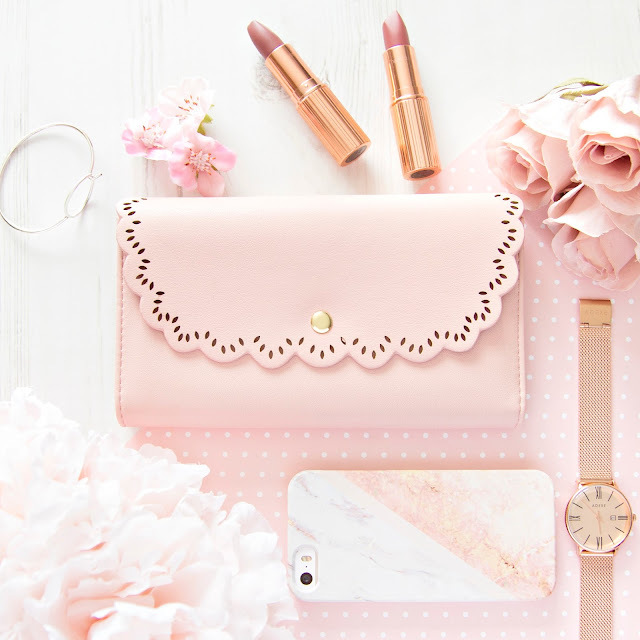 I'm actually ashamed to admit that for the past couple of years I haven't owned a purse at all - I kept my bank card in my Oyster card wallet, and I never carry cash, so I couldn't see the point of lugging one around. However in an attempt to start acting more like an actual adult I'm going to transfer everything to this, and hope that it's beauty will make me want to keep using it! So I somehow went from not owning any watches, to owning two stunningly beautiful ones within the space of a month! 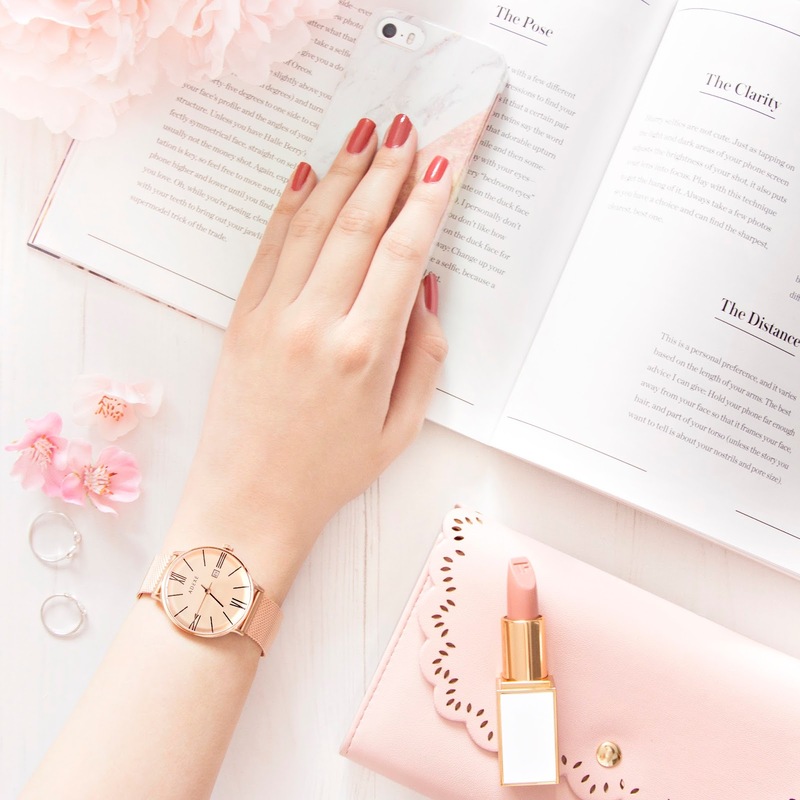 This elegant little rose gold watch was very kindly sent to me from the lovely team over at ADEXE, and it was honestly love at first sight! I feel like a different person when I'm wearing it, it's so classy and sophisticated that it makes me feel ready to take on the world. 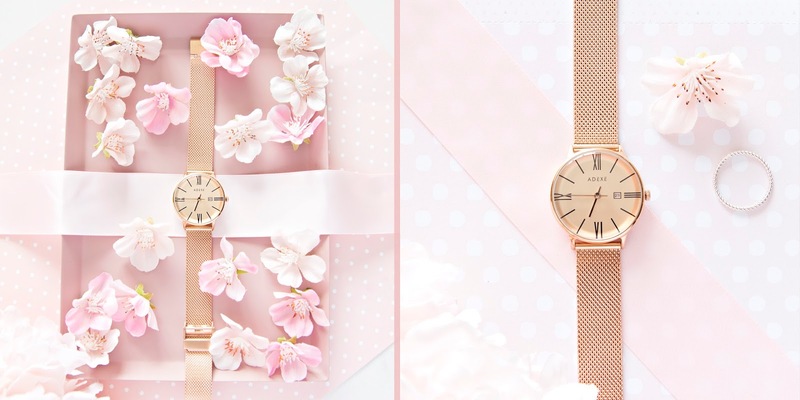 This watch is one of those timeless pieces that I will keep (and wear) for years and years to come, and it's so beautifully well made that I'm sure it will stand the test of time! How Instagramable are these sunglasses?! 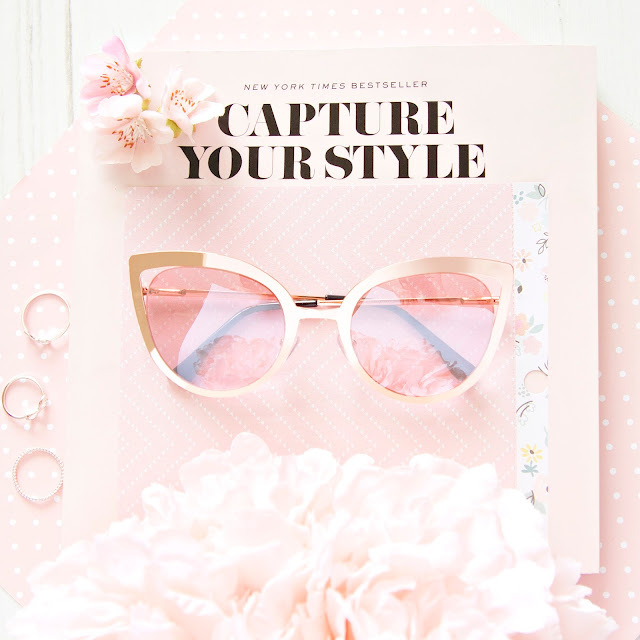 The rose gold and cat eye frames combination is almost too cute to handle, ASOS always know how to please us bloggers! For the past few summers I've stuck firmly by my classic black Rayban Wayfarers, so I felt like this year it was time for a change. I should mention that my head is really small (I have been nicknamed "pea head" by my wonderful boyfriend) so these do swamp my tiny face a bit, but I don't care, I feel fabulous when I wear them! I can't wait to show them off in San Francisco next month. So those are a few of my favourite accessories. I'm so happy that I've started to fall back in love with fashion again, and have began to embrace the fun element. I've finally realised that buying clothes doesn't have to be a chore, and accessorising is actually the best part! 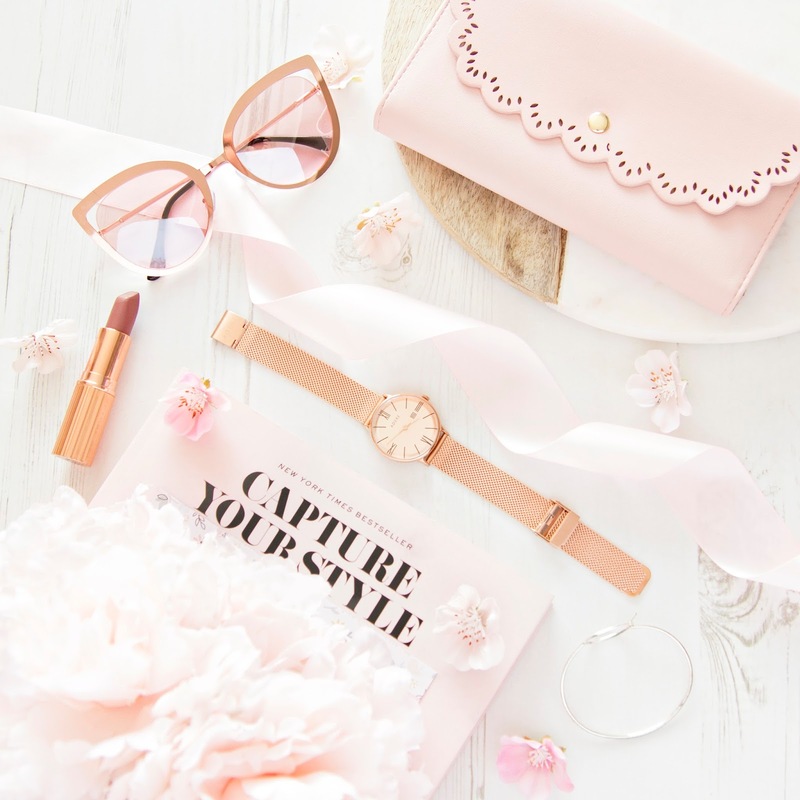 What accessories will you be wearing this summer?